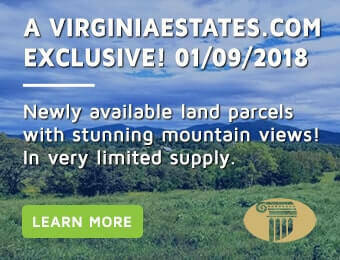 Virginia Estates – Virginia Real Estate Professionals is your resource for Shenandoah Valley real estate in Virginia. The Shenandoah Valley throughout the year is a sight to be seen! Fall showcase trees changing rich colors of gold, vibrant yellows, and bright reds. In the spring, Cherry Blossoms bloom along with varied colors of purple flowers but summer holds rich lush greenery and breathtaking sunsets. Who wouldn’t want to enjoy this picture perfect scenery every day? Shenandoah Valley is part of the Great Appalachian Valley and means “beautiful daughter of the stars.” To the east of the valley lies the picturesque Blue Ridge Mountains, west is the eastern front of Ridge Valley Appalachians’, north is the Potomac River and south lies the James River. Shenandoah Valley has 8 counties located in Virginia and 2 counties in West Virginia. Stretching 150 miles long and 25 miles wide the valley has spectacular mountain views and sprawling riverfront properties for sale. Surrounded by breathtaking views and bounded by two large rivers, residents of Shenandoah Valley will have many indoor and outdoor activities to enjoy year round. Popular outdoor activities residents enjoy include boating, swimming, fishing, six public parks which boast pools, playgrounds, picnic shelters, and several trout-stocked ponds. For those who like to ski, nearby Bryce Resort offers fantastic winter skiing and also grass skiing in summer months (who knew you could grass ski)! 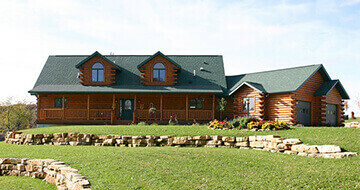 Avid huntsman can enjoy the serene forests and woodlands where you can tag deer, bear or small game. Golf pro or aspiring golfer in the family? Shenandoah Valley offers multiple championship golf courses. Hikers and nature enthusiasts can enjoy scenic trails and camping throughout George Washington National Forest, Shenandoah National Park, Skyline Drive, Blue Ridge Parkway and many other trails throughout the valley. Winchester: Known as Apple Capital because of surrounding orchards and annual Apple Blossom Festival each May. Berryville: Small community with quaint historic downtown. Picturesque rolling hills and countryside to enjoy from your back deck while enjoying a glass of wine from a local winery. Holy Cross Abbey is a popular attraction where local monks sell fruitcake, honey and chocolate truffles. Staunton: Known as “Best Small Town in America” this community has over 20,000 residents. Enjoy a bigger town but with a country feeling. This historic county is the birthplace of Woodrow Wilson and home to American Shakespeare Center. Enjoy local vendors and “buy local” at the popular Wednesday (May-September) and Saturday Farmers Market (April-November). 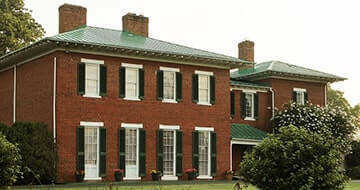 Waynesboro: Named after General Anthony Wayne, Revolutionary War Hero and also home to Fishburne Military School. Waynesboro has a quaint historic downtown with many eclectic eateries, boutiques, and bars. Popular community activities include Blues N Brews, Paddle the Park, Cyner Springs Kite Fly, Virginia Fall Foliage, Christmas Parade and much more. Shenandoah Valley properties for sale range from average single-family homes to sprawling countryside estates. Whether you are looking for a property for sale to accommodate your growing family or want a retirement property nestled along the Blue Ridge Mountains or perhaps riverfront property, options are endless in “The Valley”. 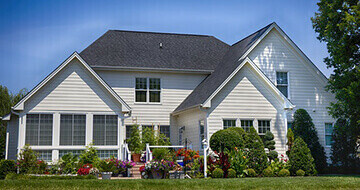 Please look to Virginia’s premier real estate company of the area, Virginia Estates. 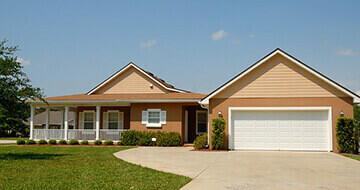 The knowledgeable real estate agents at Virginia Estates can help hand you the keys to your new home.